Coffee; more than a beverage! Making a difference!! These fully washed and solar dried castillo and catura beans are grown at 1700 meters on family owned farms in the San Isidro, La Palma and Las Brisas communities of the department of Huila Colombia. The growers, Eduar Perdomo, Robinson Huelgos and Ricardo Mendez work tirelessly to use the best agricultural practices on their farms. This colombian stands out from the rest with its balance of smooth caramel and chocolate notes and the South American earthy boldness. These beans are one of the highest scoring beans we have had the opportunity to roast and serve in our cafe and across the country. If you are fortunate enough to stop in and grab a perfectly hand brewed cup or buy a bag of beans for your home be sure to remember the farmers and the support we show them with each sip. Connect with us. Select the icons below to visit our social media pages. Located in Martinez California, Mountain Grounds is the "hole in the wall" worth talking about. 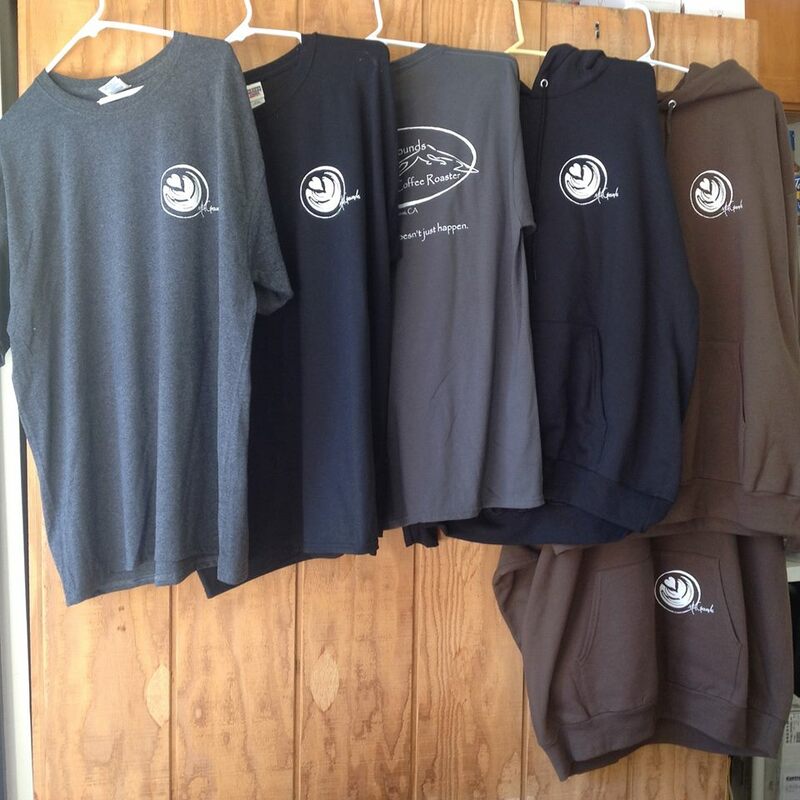 Mountain Grounds is a family owned and operated business that was established in 2013 in Martinez Ca. We may be a "small" cafe but business is larger than life. As they say "great things come in small packages". When you come into our shop you will become part of an amazing and lively community of people that love coffee and get to experience excellence together. The Mountain Grounds family has an unparalleled passion and conviction for serving the highest quality coffee with excellent execution. 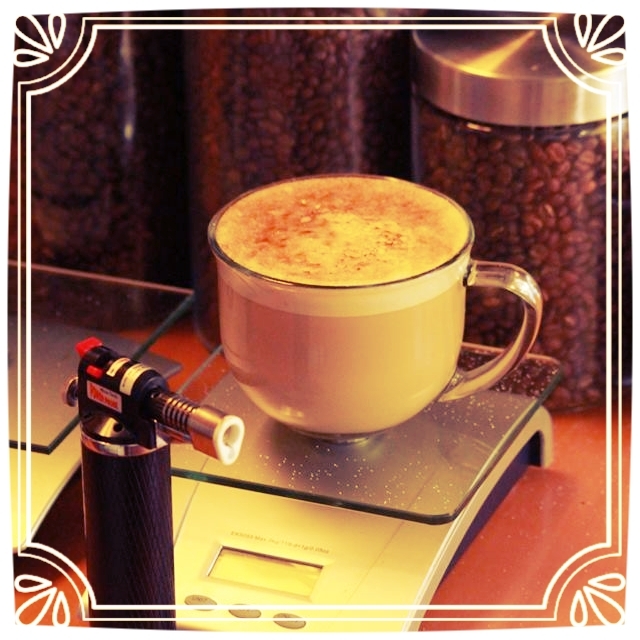 We offer a full menu of coffee experiences and even some great choices for those non coffee drinking few. We also have oatmeals made from scratch, pastries, and hot sandwiches to enjoy with your drink. Come in and join our family, we look forward to meeting you! TEXT IN LINE: text your order on your way in! We are passionate about supporting small farmers who take pride in and work tirelessly growing and harvesting quality beans. We understand the dedication it takes to sustain a quality coffee farm and we do not take the responsibility of maintiaining the quality lightly. We brew each perfectly roasted cup with care. Prices vary with each coffee and current market value. Coffee offerings vary throughout the seasons. 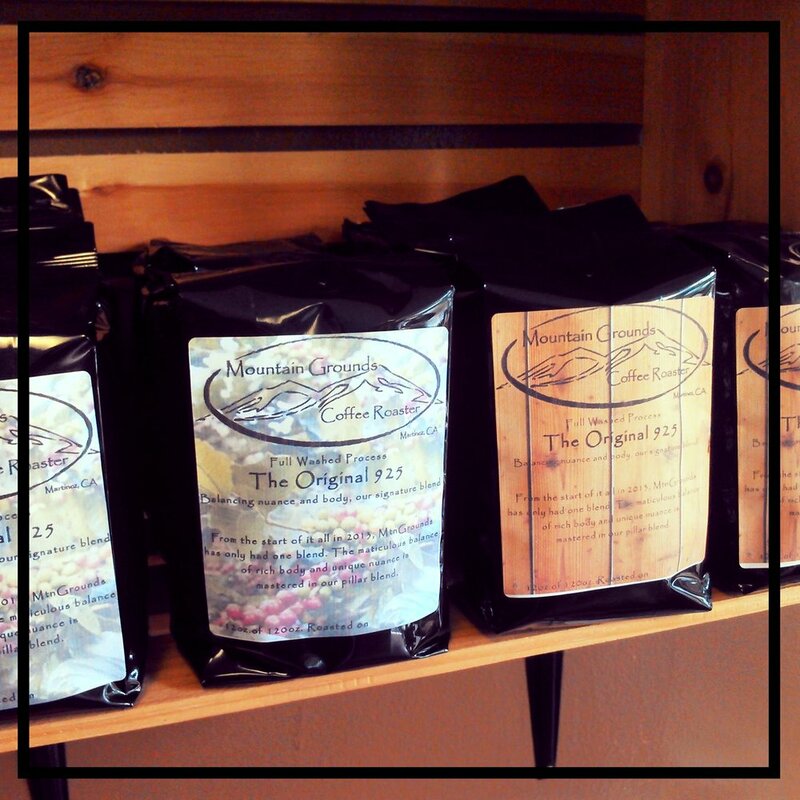 We offer each coffee in 12, 16 or 20 oz hot or iced servings. You may also purchase a 12 oz bag of whole beans either roasted or green. Flavor .25, espresso .50, Iced .50, Breve .50, Soy/Almond .50, Boba 1. Nitro coffee, Shrub, Artisan sodas, El Capitan, Yuanyang, Kombucha and anything our minds can think of along the way. We take pride in roasting exceptional single origin coffees, dynamic blends and flavorful espressos. We would be honored to partner with you in serving excellence and spreading the artisan coffee culture. We are dedicated to helping small farmers sustain and thrive. As a wholesale partner you will have access to our farmers stories and the opportunity to share with your customers the impact we are all making around the world with our coffee. The first step is to leave us your information and we will reach out to you. We understand that each business is different and has unique needs so it is important to us to serve you in the best way possible. We have a variety of shipping schedule options as well as the option for standing or customized orders each time you need a shipment. We will take the time with you and build a program that works best for your business. Once you have become a partner we will come along side your business and help in anyway we can to ensure the integrity and quality of the coffee sustained from farm to cup. 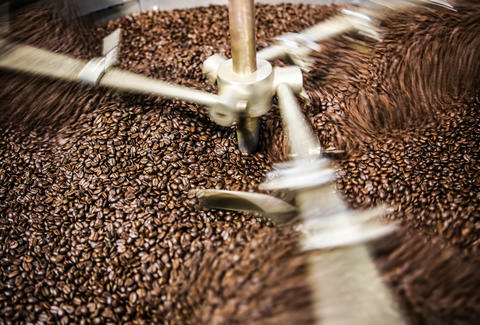 Our roasting team will reach out to you each week to answer and coffee questions and confirm orders. You will also be able to reach out to us whenever needed. By serving Mountain Grounds you are joining a family that is passionate about serving excellence. We strive for perfection in everything we do. We focus on putting our best foot forward by giving attention to every detail from farm to cup. 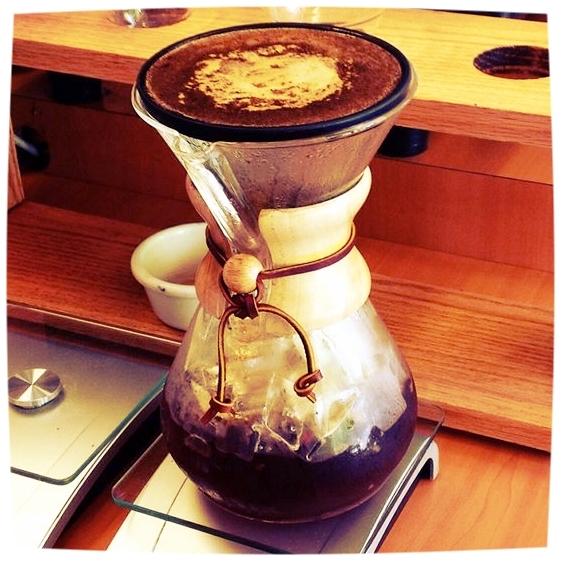 We offer trainings and education on coffee and executing the best cup every time. 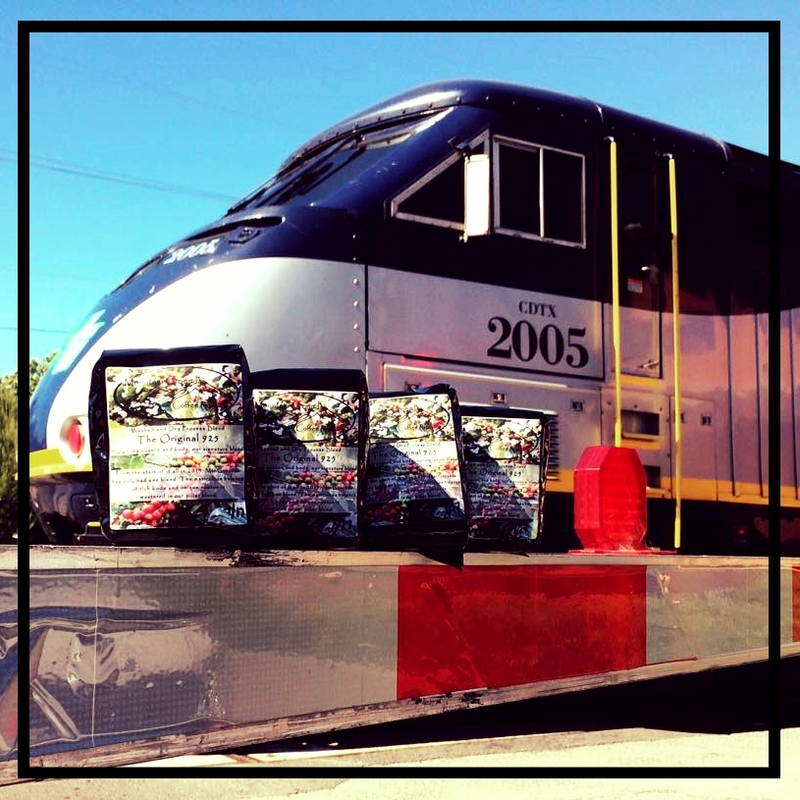 As a wholesale partner you will have the opportunity to not only get bulk beans for use in your cafe but you will also be able to get single 12 oz bags of whole bean for resale. You can opt to use our labels or bran them with your business details for sale in your storefront. In addition you can be part of our subscription program in which you will be given incentives to offer our coffee subscriptions in your area. As we all know, it is about the coffee, but there is so much more. As a partner you will be offered discounted prices on customized screen printed apparel with your business logo for sale to your customers or for use by your Baristas. Thank you for your interest in partnering with us and we look forward to speaking with you soon! Please indicate best time to call and any additional information you would like to share. Our Signature Coffee Delivered Right to Your Door Step! Send us your information below and we will contact you and set up the details. You can set up one time order for a special occasion. Or, set up recurring shipments to try a variety of our featured farmers and always have fresh coffee waiting for you. Prices may vary depending on coffee offering but average will be $15 per shipment plus shipping. We love joining people in celebrating their special events. We can set up a full cafe for outdoor and indoor events. The events are catered to you, make them as simple or as extravagant as you want. We have a mobile cafe in the back of a classic cherry red 69 Chevy that can pull up to your venue and serve drinks from the truck or we can set up our equipment separately to meet your needs. Please give us your info if you are interested in having us cater an event for you. We look forward to hearing from you. Please give detailed information on your event including date, time, location and occasion. Hello coffee people, my name is John and I LOVE what I do! My passion for coffee goes way back to when I was only "playing" coffee with friends. We would taste different varietals and the different nuances and profiles would blow me away. The dynamics that came with the coffee industry were fascinating to me and so I began to study it and experiment and before I knew it I had a small cafe taking up the garage. It was then that my wife so kindly encouraged me to "get the equipment out of the garage" and share what you do. So my little brother Kevin and I quit our jobs and he helped me to start Mountain Grounds. For the first year it was Kevin with his wife, my wife and I working endlessly to make a go of it. I have NEVER worked harder for anything in my life but I have never found more joy in anything else i have done. I love working with people, building into my Baristas and creating a community where people from all walks can come together and have a place to feel at home while enjoying an amazing coffee experience. I say all of this to say that I can't contain the joy and want to share it with you! I want to help you by taking the lessons I have learned the hard way and help you navigate the map of starting your own journey. 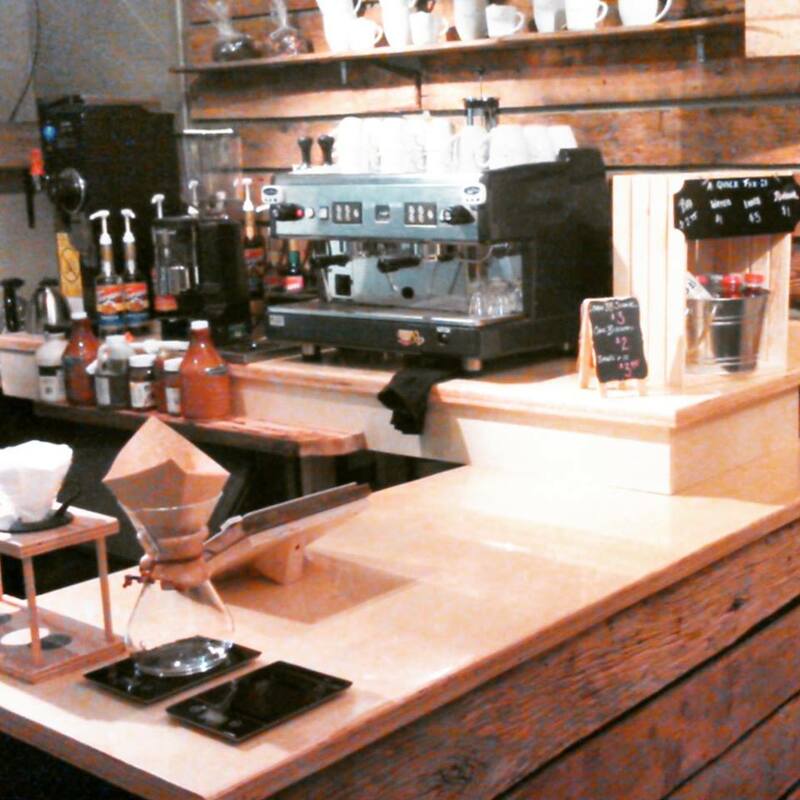 Specialty coffee is about community and culture not about competition. With that said, do I strive to be the best? The answer is yes, because my staff, customers and all those whose hands go into bringing coffee to the cup deserve the best. Wholesale account with our Roastery, serving excellence in each cup. Support in your opening days to help you with the bumps in the road navigating the first couple days. Ongoing help and support, we are community after all. We heard about Mountain Grounds from across the country. After meeting John it was clear that he was passionate and very knowledgeable about good coffee and the coffee business. He helped us from start to... well, in business its never finished so he is still supporting us and helping us when we need it. His training on coffee and advice on all things from money management to handling staff gave our business the start it needed to be successful. We look forward to our continued relationship with John and Mountain Grounds as we grow. 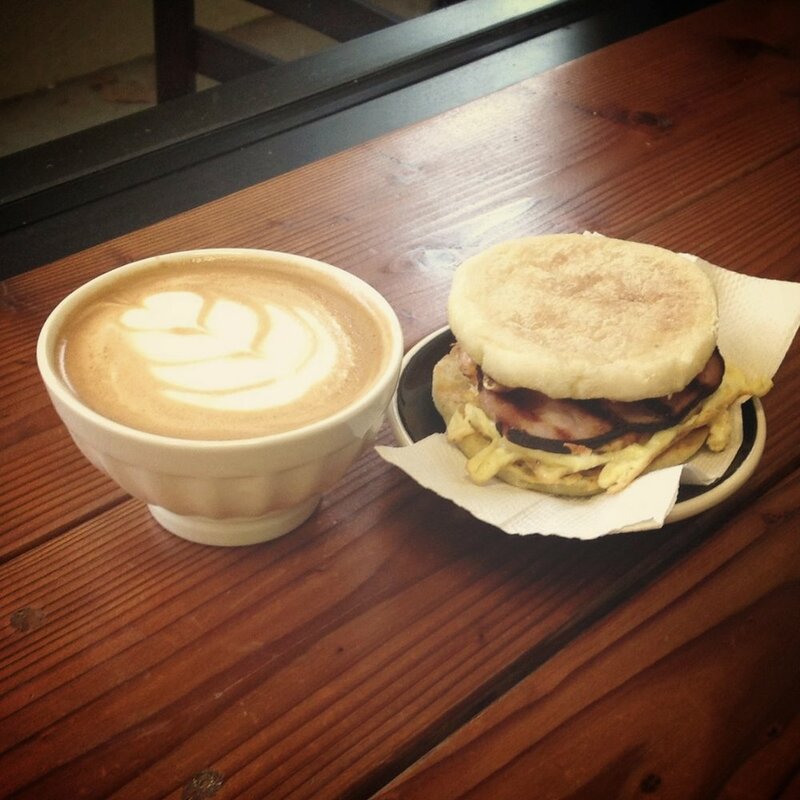 We are blessed to have found the best coffee out there to serve at Mugshots and have the knowledge to do it justice. We love coffee and it was important to us that we offer our customers the best. John taught us things about coffee that we didn't even know we needed to know. He was patient and passionate about helping us be the best we can be. 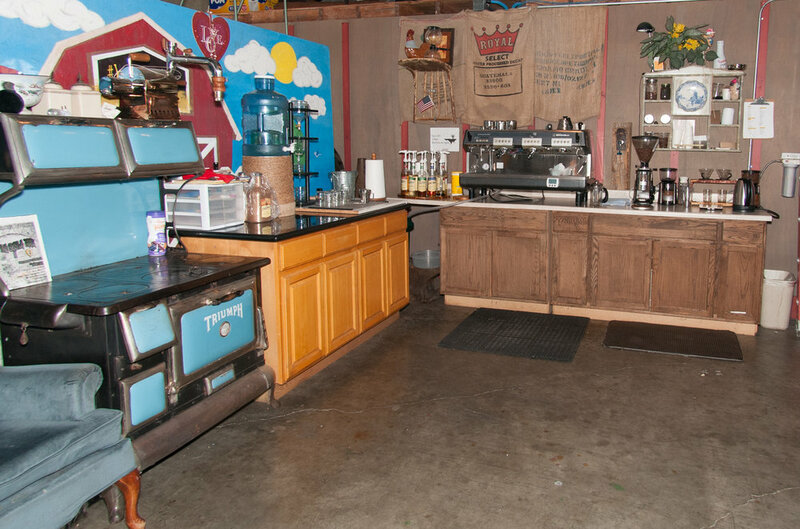 We proudly serve Mountain Grounds coffee and we have the confidence that each cup that goes out is excellent and represents our business well thanks to the quality coffee and the training we received. Branding is important and apparel is a great tool to get your brand out there! It is important to us that each independent business has the best chance for success possible. It is part of our mission to offer the tools to do so at a fair price. You can choose from a variety of apparel options to include hats of all different types and colors. We can print tank tops, V necks, scoop necks, sweatshirts, hoodies, sweatpants, hats and more! We will help you to design a logo or you can share yours with us and we will be happy to create some great screen printed apparel for you to sell in your storefront, online or just wear on the job. Just contact us below and we will be happy to go over all of your options and customize your order to meet your business needs. Let us know a good time to reach out and a brief idea of what you are looking for.